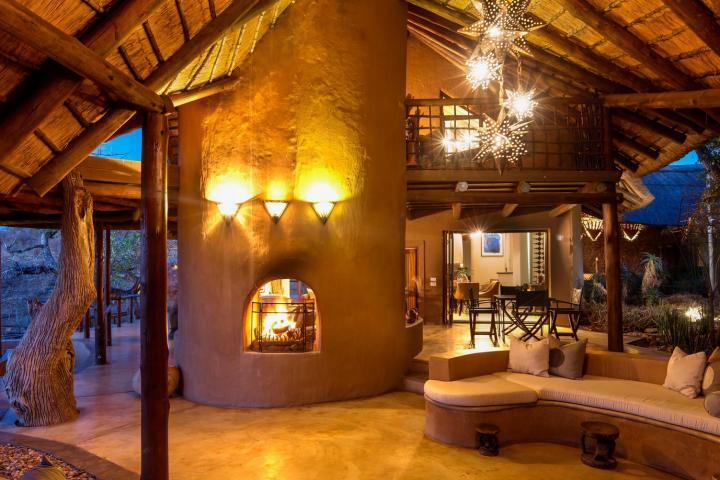 Royal Madikwe offers an absolutely unique and exclusive safari residence in the heart of South Africa ’s game-rich, malaria free Madikwe Game Reserve where an unrivalled wilderness experience is silhouetted against a backdrop of 5-star luxury and unsurpassed hospitality. 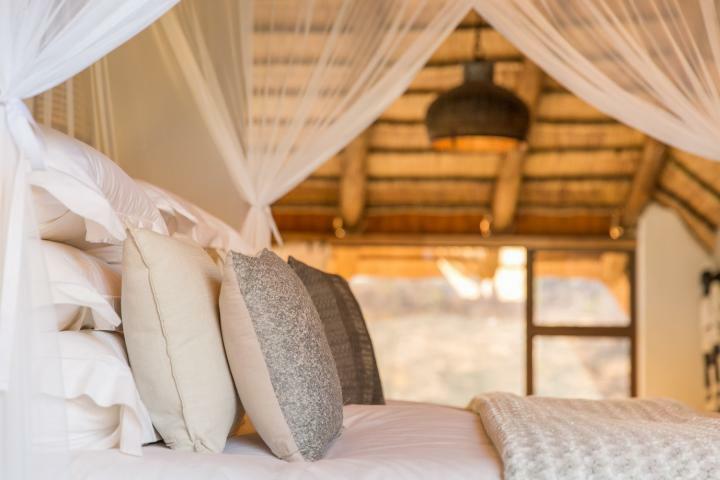 Set on Africa’s rolling savannah overlooking a waterhole that teems with a wide variety of wildlife, Royal Madikwe allows guest to interact with nature in a lavish milieu where exceptional accommodation, service and cuisine come standard. 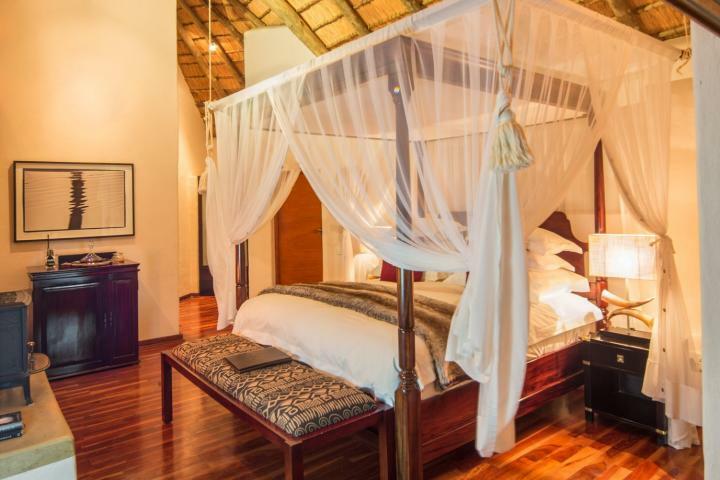 The exclusivity of this private safari villa, which offers sole and exclusive use to each reservation, means that guests not only have a private luxury bush home but a piece of Africa all to themselves. 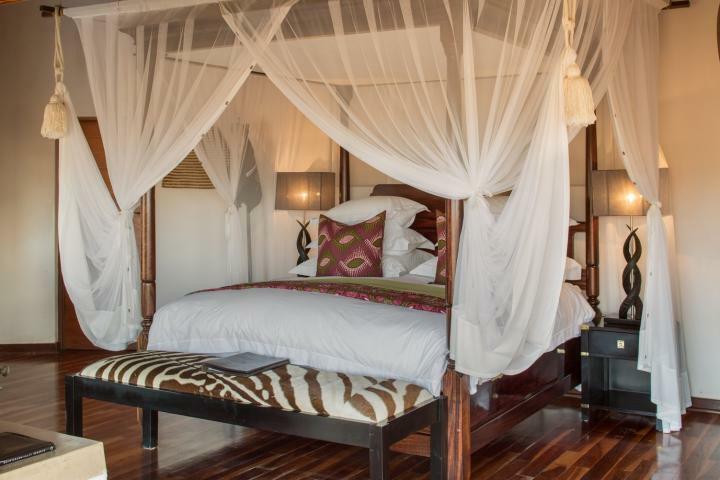 Our commitment to you allows absolute flexibility to plan bespoke safaris and bush experiences of a lifetime. 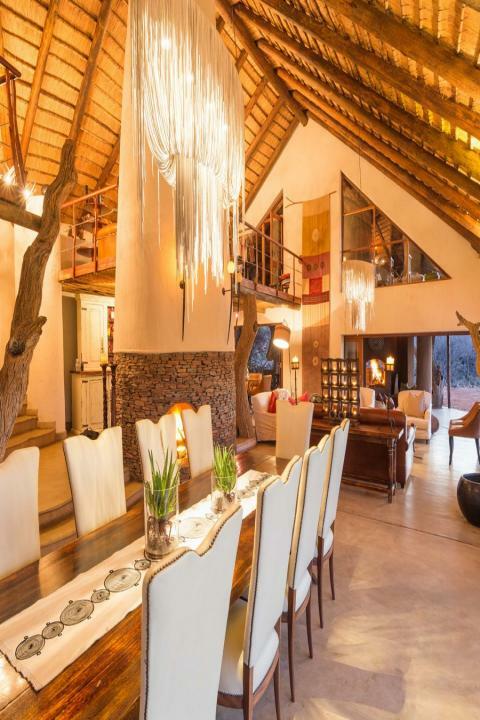 The exclusivity of this private retreat, which offers sole and exclusive use means that guests not only have a private luxury bush home, but a piece of Africa all to themselves. 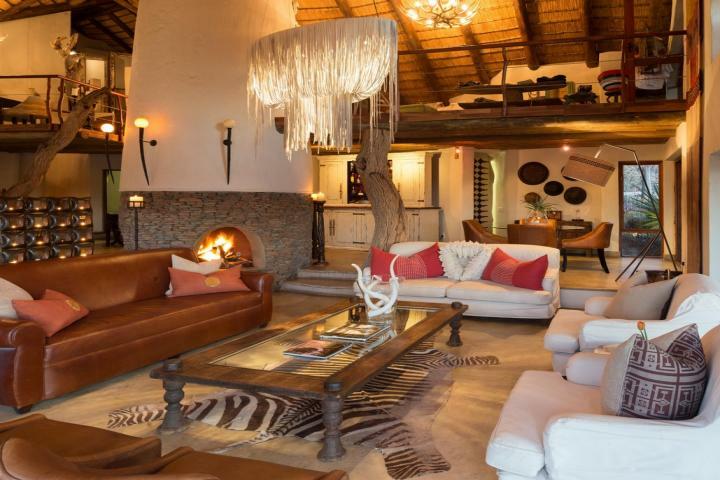 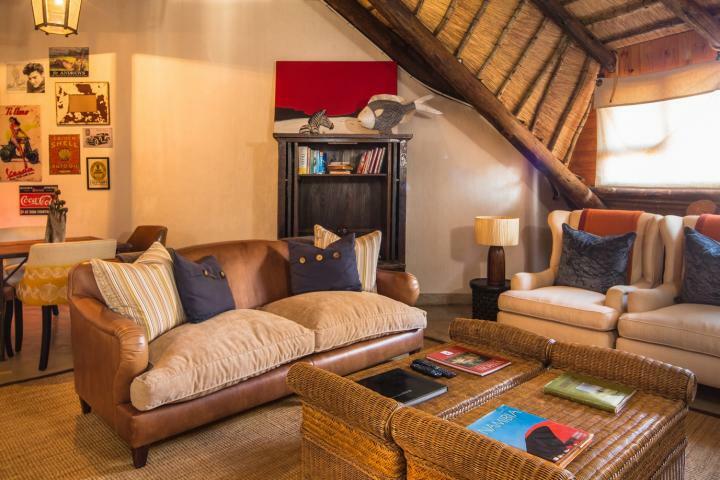 Royal Madikwe is Largely insipired by nature, yet modern interior styles have been introduced to add a fine streak of eccentricity and a vibrant African feel to this authentic space. 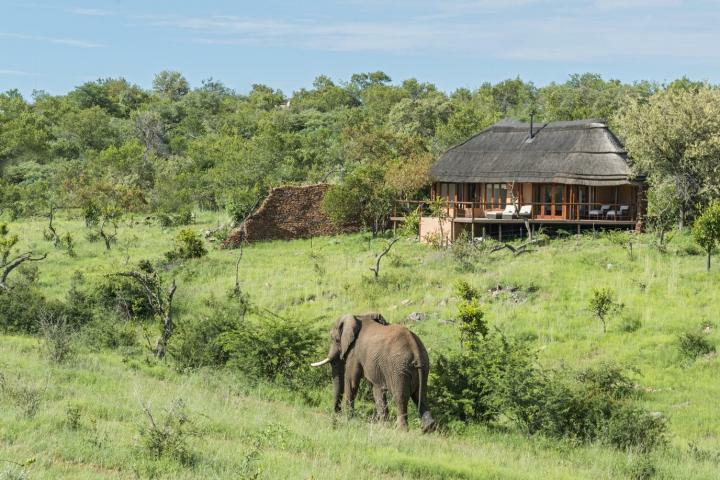 Royal Madikwe accommodates a maximum of 10 guests on an exclusive basis only. 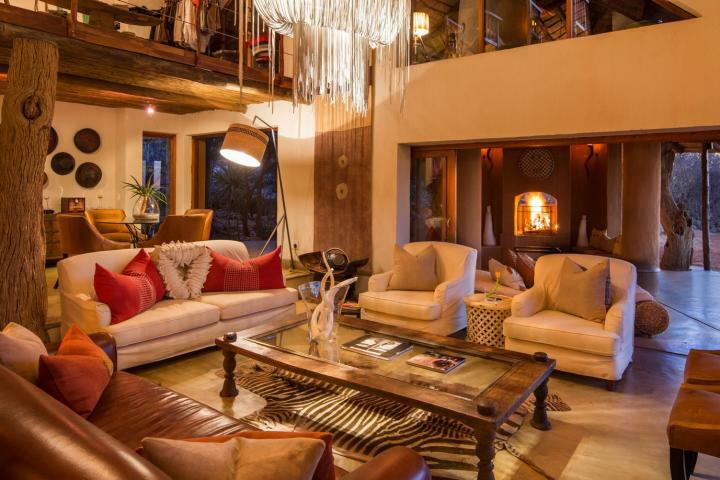 The same contrast of natural tones against a unique fusion of modern and comfortable furnishings is integrated in five open-style suites, each with it\'s own distinct setting and complete privacy. 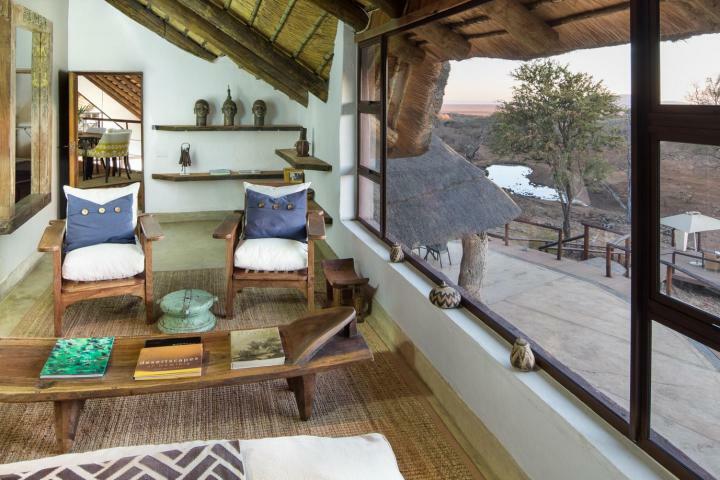 Indoor meets outdoors with each spacious air-conditioned suite flowing into it\'s own elevated game-viewing deck to blend into the African landscape. 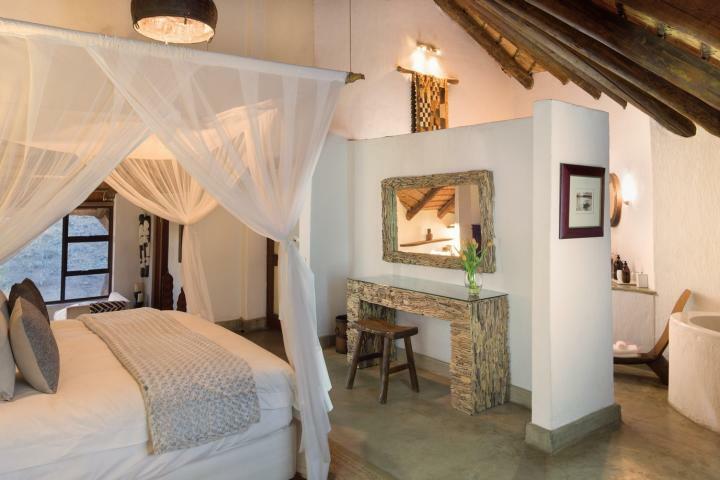 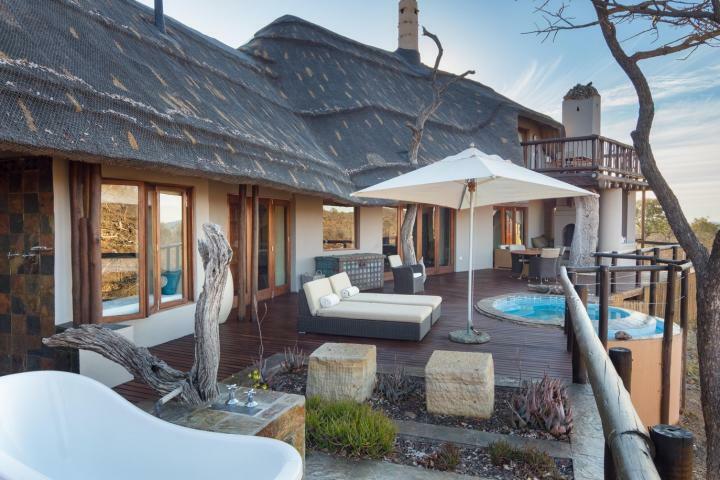 Guests can enjoy the exclusivity of a private pool, game viewing deck, spacious interiors, fireplace, en-suite bathroom and and inside and outside shower. 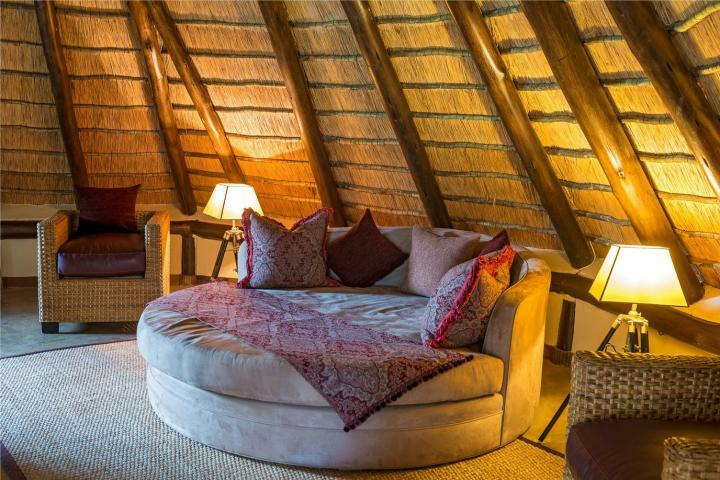 The following room types are available. 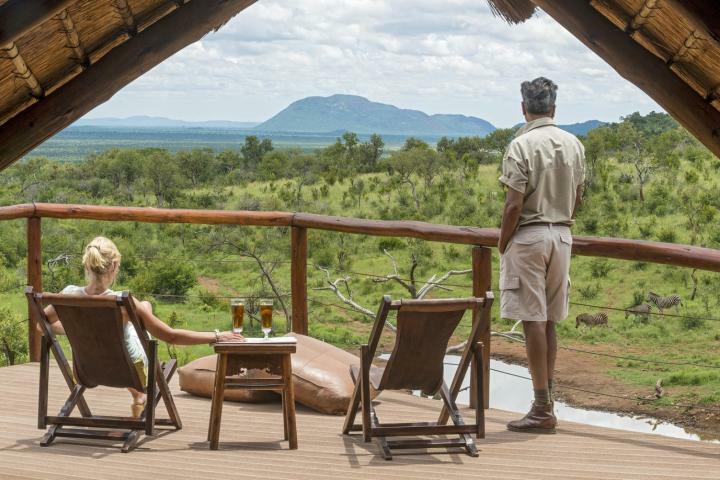 Basking in a dense habitat of abundant animal species and birdlife, Royal Madikwe offers the perfect luxury space for families and groups of friends to soak up the splendour of the African bush in the barefoot comfort of their own company. 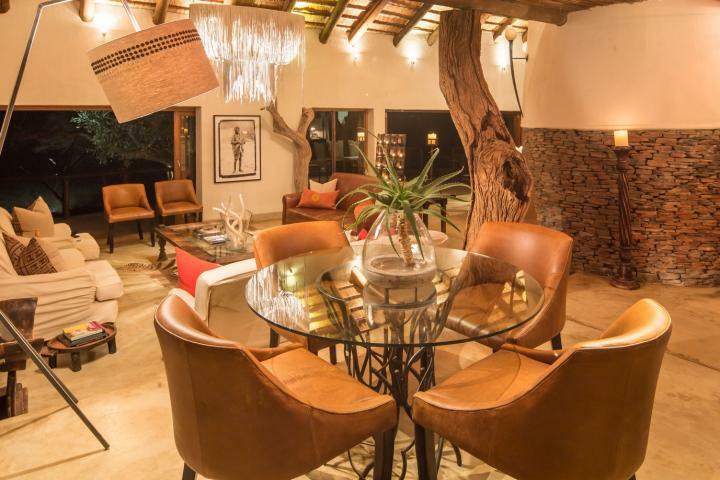 Ancient Leadwood and Marula trees fuse in a celebration of contemporary design to create the main lodge at Royal Madikwe where a stylish lounge, dining room and library lead to elevated decks and sweeping views of the African bush. 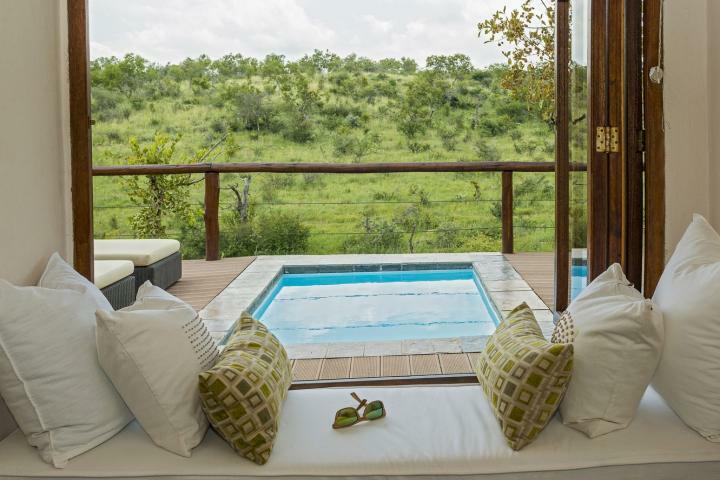 A tranquil infinity pool gives way to a vivid green palette of lush surroundings which blends in with the lodge\'s rustic charm. 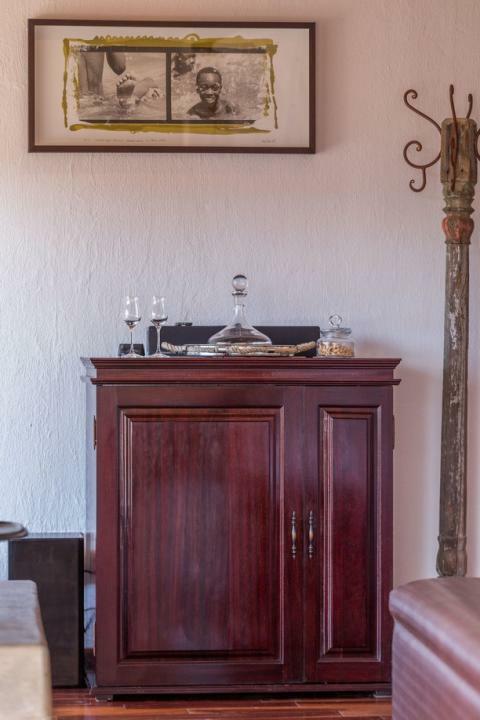 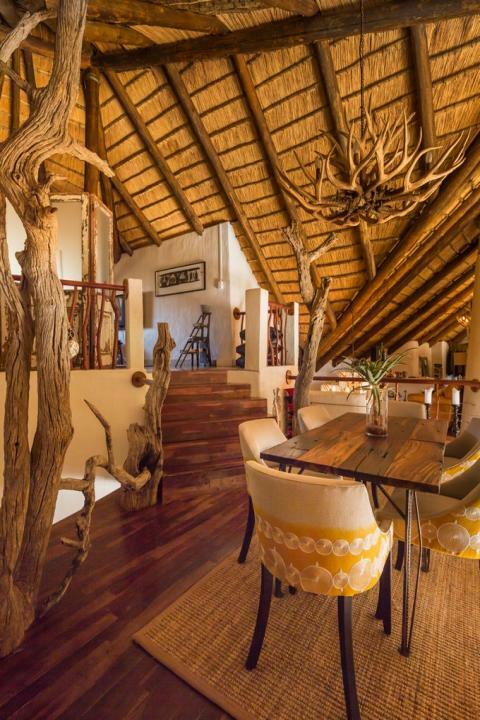 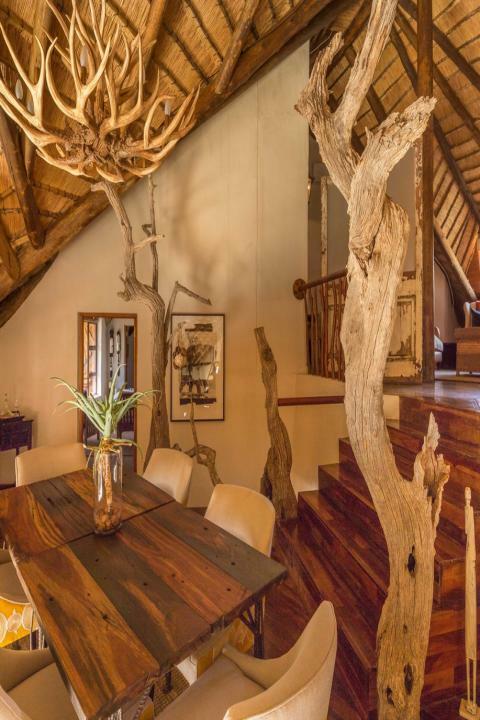 Royal Madikwe is largely inspired by nature, yet modern interior styles have been introduced to add a fine streak of eccentricity and a vibrant African feel to this authentic space. 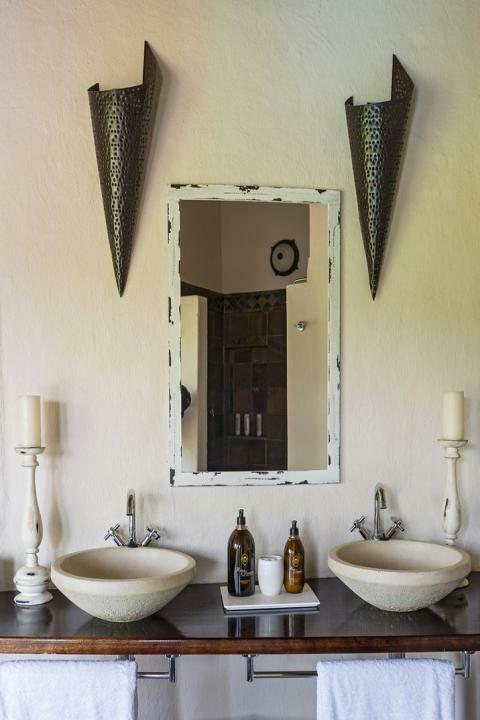 Clean natural hues and rich organic textures infused with bright splashes of tribal colour creates a fresh, contemporary sense of calm. 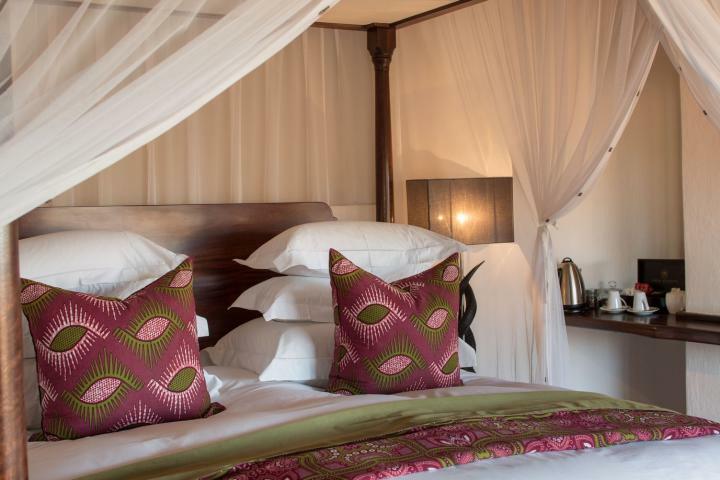 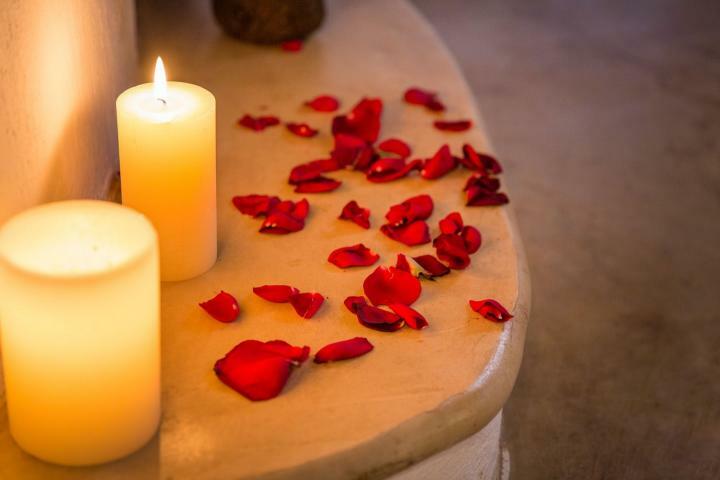 Royal Madikwe\'s philosophy is focussed around the personal preferences of the guests with a menu that is flexible and less structured, featuring sophisticated yet wholesome cuisine inspired by Africa's diverse cultures and cosmopolitan influences. 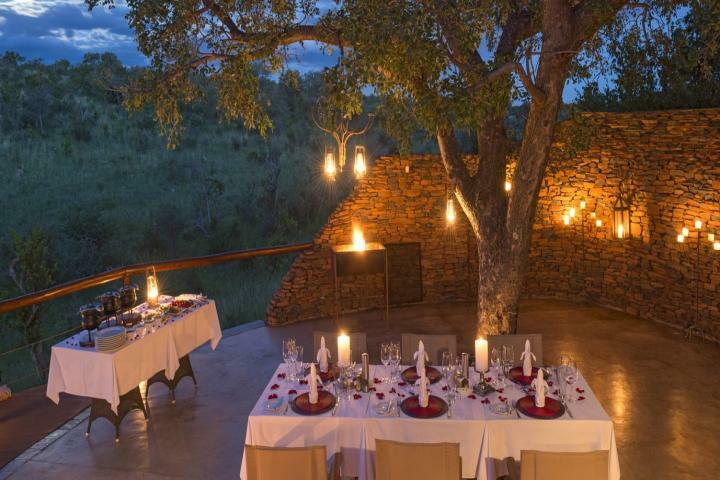 The menu also unmasks gourmet game dishes to mirror the wilderness and abundance of the Madikwe Game Reserve. 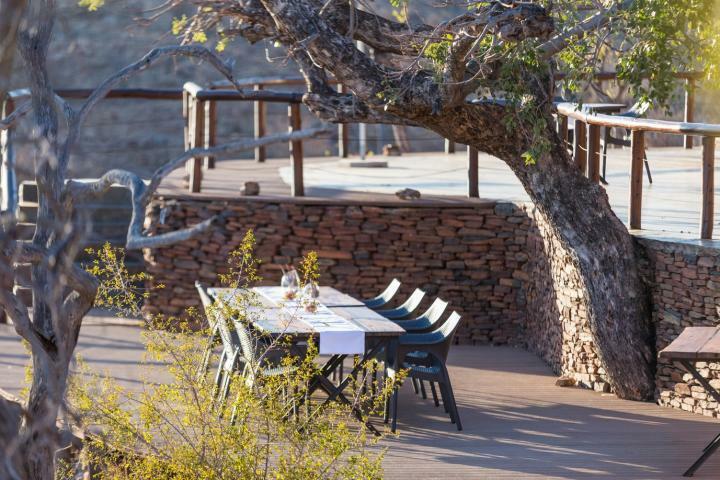 Using only the freshest seasonal ingredients, the accents fall on local produce to arouse the senses, with each meal flawlessly matched with award-winning South African wines and a breathtaking setting. 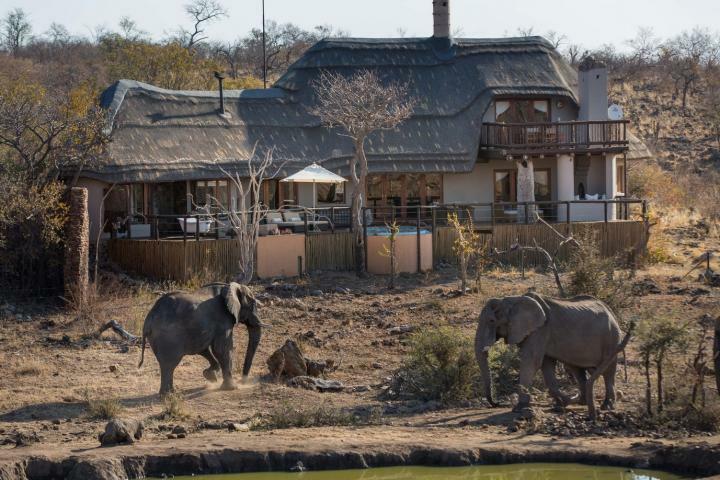 After an exhilarating early morning game drive guests can enjoy an unhurried seasonal inspired breakfast on the lower deck overlooking the waterhole as nature shows off it's wildlife theatre. 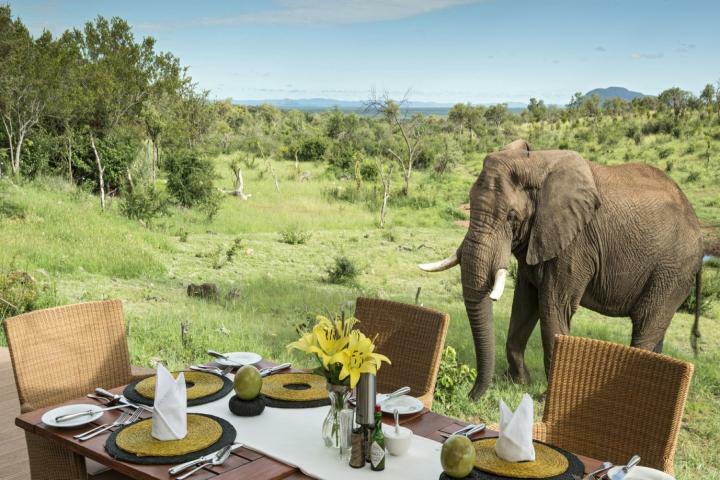 Afternoon High Tea caters for a sumptuous al fresco affair with guests indulging in divine delicacies as cheeky monkeys leap through the trees. 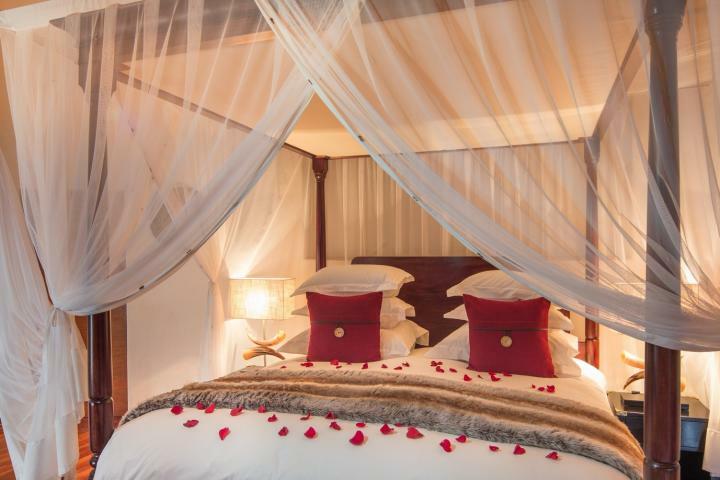 Dinnertime is a lavish feast, whether enjoyed formally in the elegant dining room with crystal and chandeliers or outside where the glow of a Boma fire and the singing of the ethnic choir serve up the perfect backdrop to gourmet excellence under African skies. 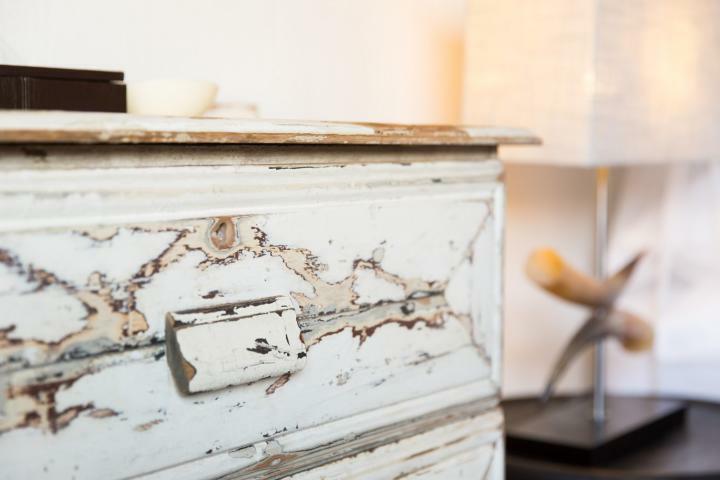 Internet connection and fax use is available upon request. 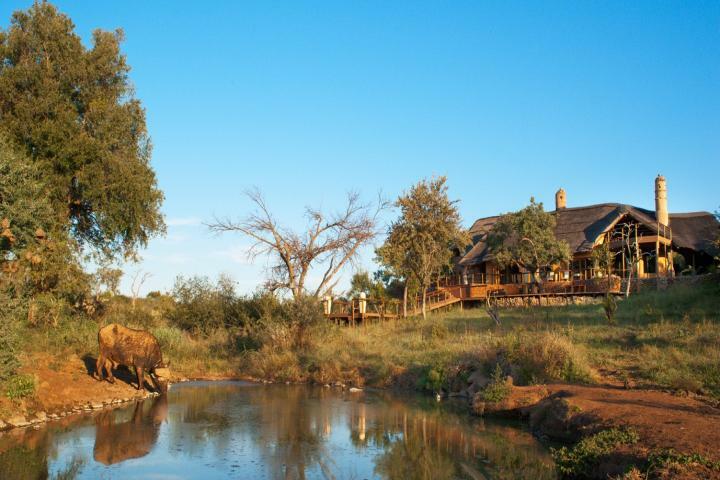 Royal Madikwe is unlike other luxury safari destinations and welcomes families with children of all ages. 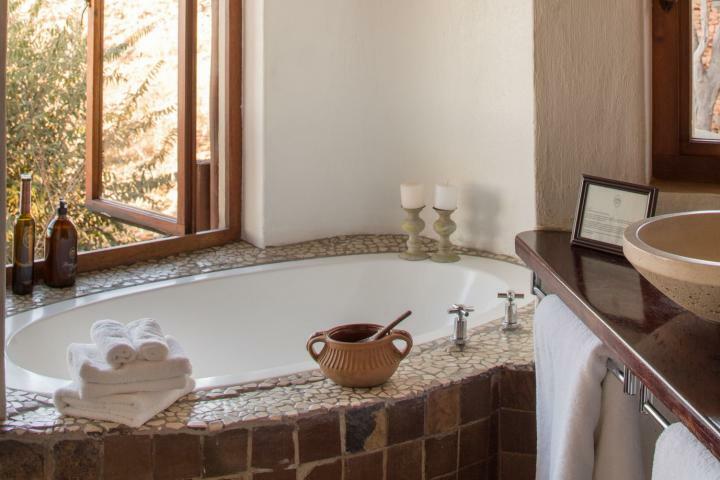 Due to the exclusivity that we offer, families can relax and feel at home. 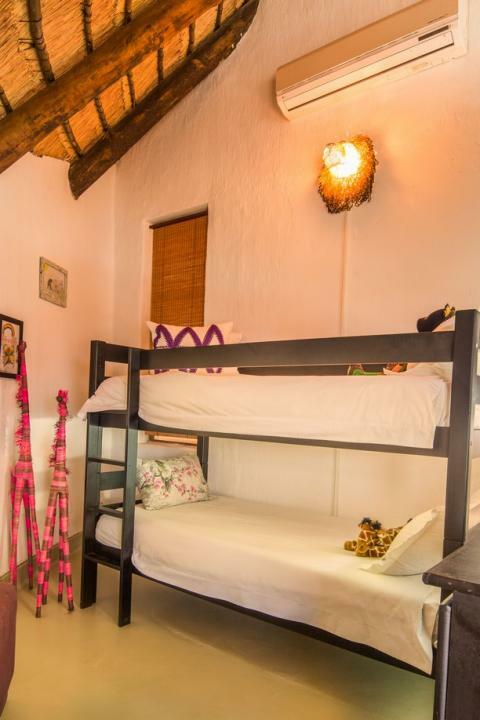 Children are stimulated, educated and entertained by their African Bush surroundings and by our warm, friendly team. 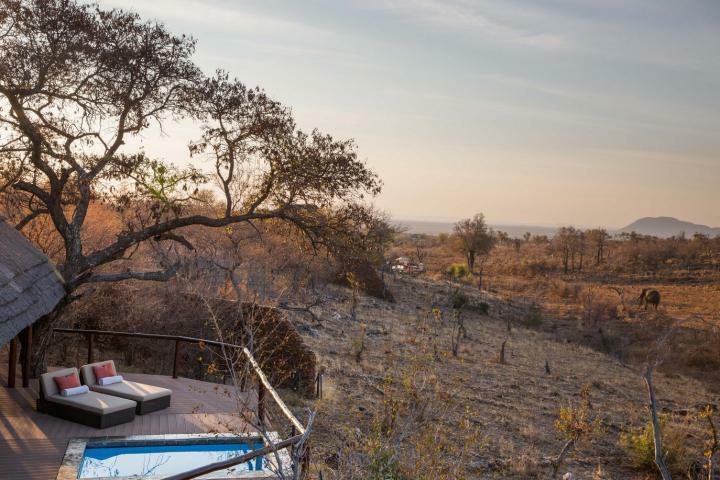 No set Safari Kid programmes are offered but rather designed on arrival, according to the children’s interests. 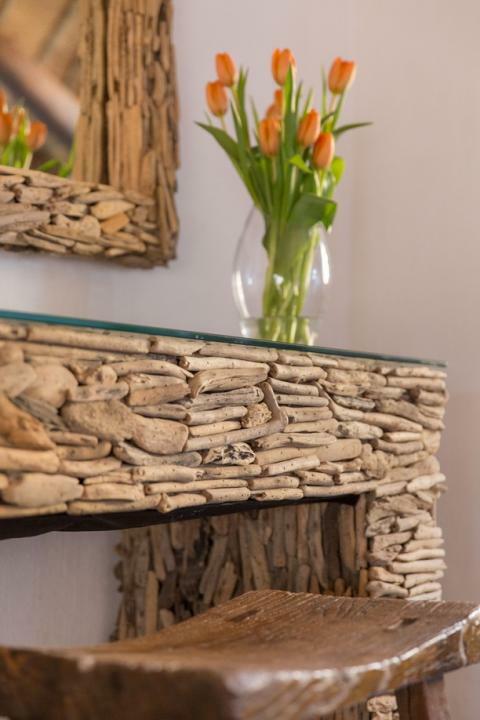 baggage claim and customs at Johannesburg International Airport, Reserve entry fees. 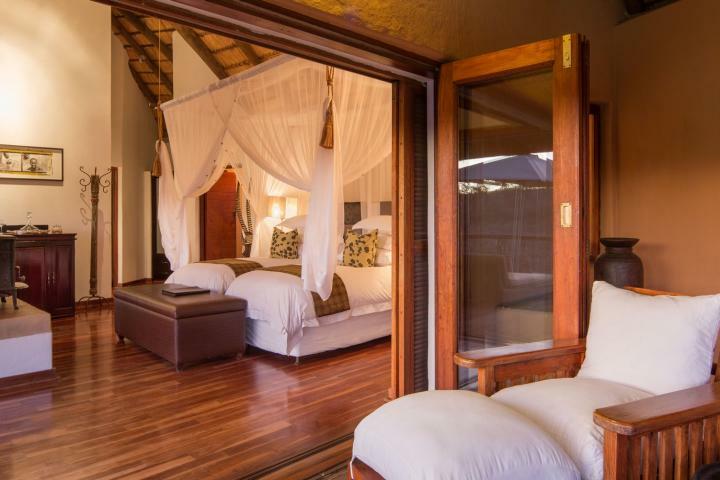 Rates from R24.000 to R70.000 per night. 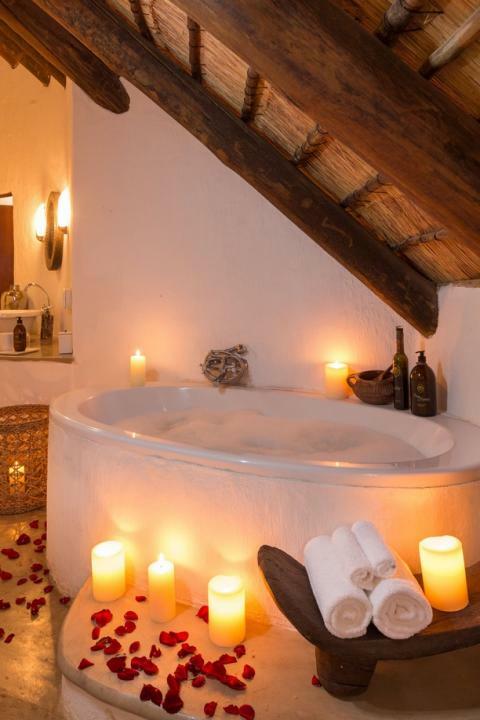 Please contact us for special offers! 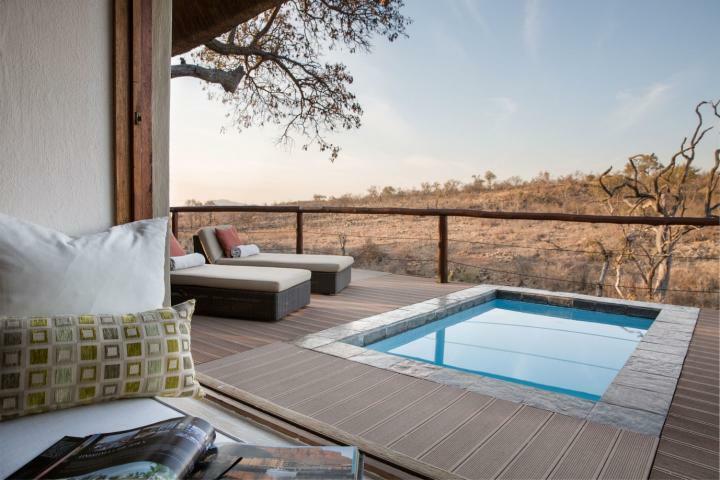 The Royal Madikwe is available on a sole and exclusive basis only. 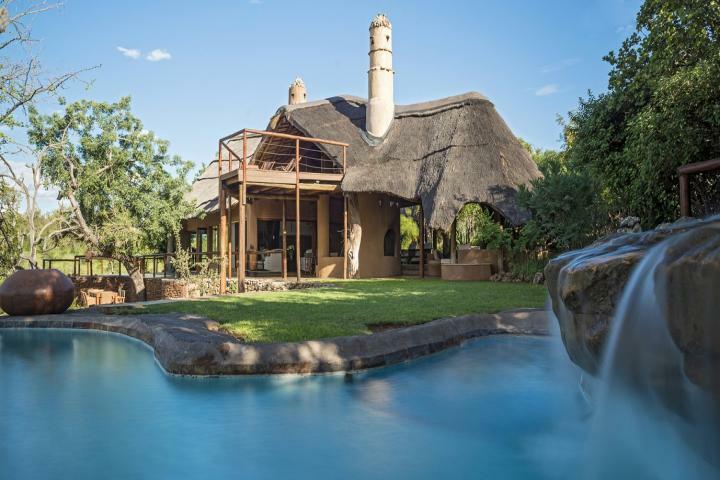 Meet and greet facilities and assistance through customs & baggage control at Johannesburg International Airport. 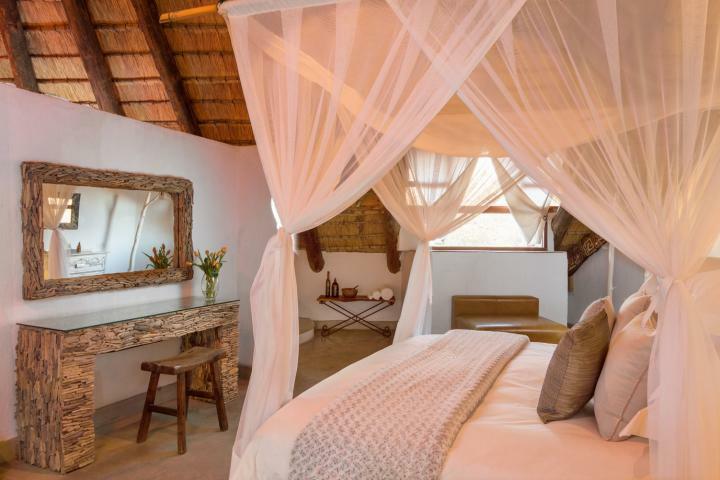 Royal Madikwe is located in the malaria free Madikwe Game Reserve (76,500 hectares) in the North-West Province of South Africa on the border of Botswana. 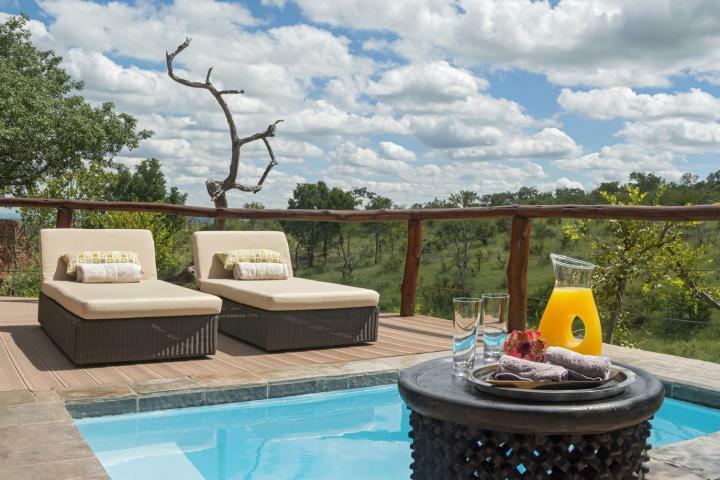 Royal Madikwe is very easily accessible from Johannesburg. 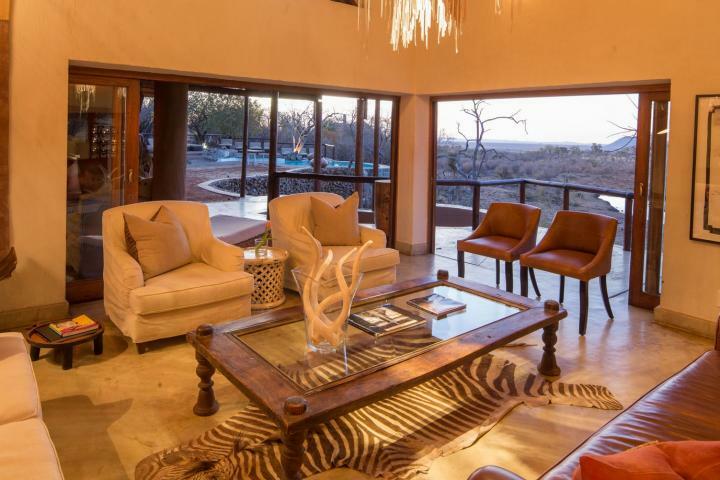 Daily transfer services are available either by road or air and can be arranged with Royal Madikwe. 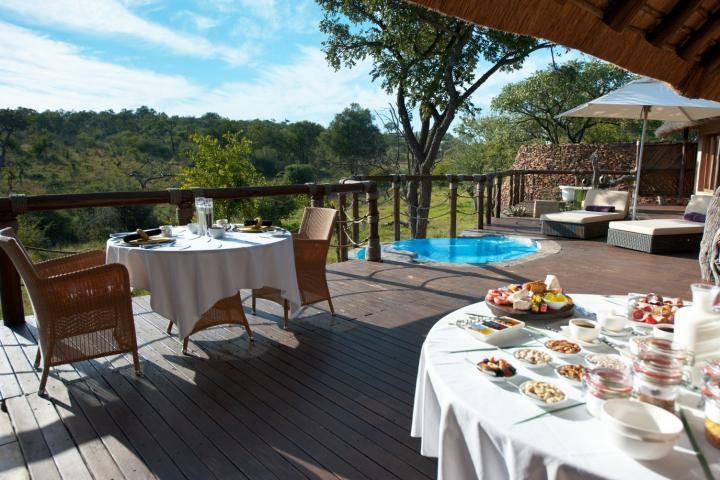 Royal Madikwe is approximately three and a half hours by road from Johannesburg. 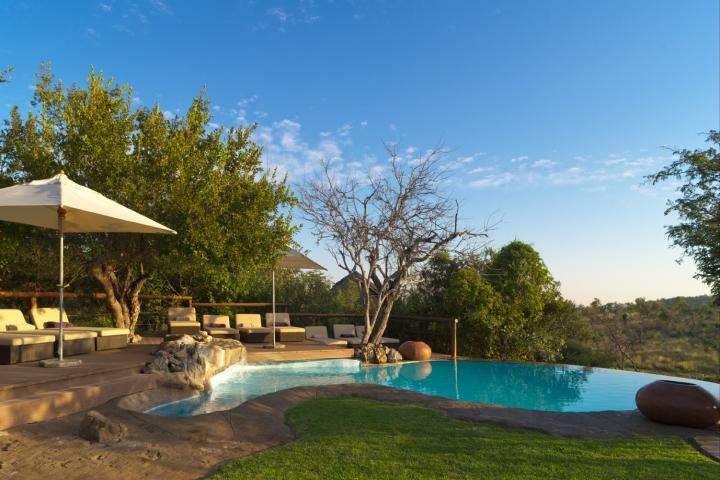 Royal Madikwe is approximately one hour from Johannesburg by air.